If you have any questions about this product by Olympia Battery, contact us by completing and submitting the form below. If you are looking for a specif part number, please include it with your message. TomTom GO 60 Battery Replacement Kit with Installation Video, Tools, and Extended Life Battery. Battery Replacement Kit for Garmin Nuvi 50LM with Installation Video, Tools, and Extended Life Battery. Garmin Nuvi 3790 Battery Replacement Kit with Installation Video, Tools, and Extended Life Battery. 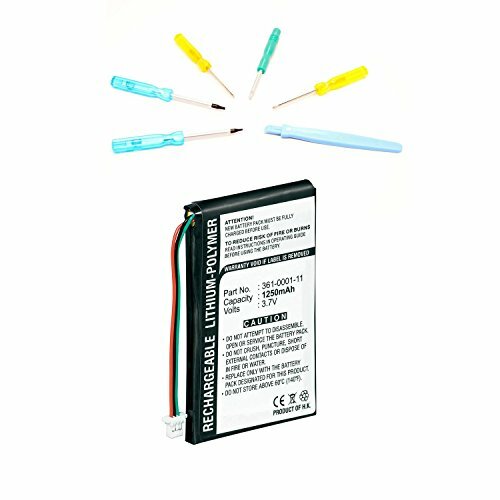 Battery Replacement Kit for Garmin Nuvi 2598LMTHD with Installation Video, Tools, and Extended Life Battery. Battery Replacement Kit for Garmin Nuvi 3590LM with Installation Video, Tools, and Extended Life Battery.